With cities expanding globally and human populations becoming increasingly urban, sustaining ecosystems that support human well-being in cities is both increasingly challenging and urgent. 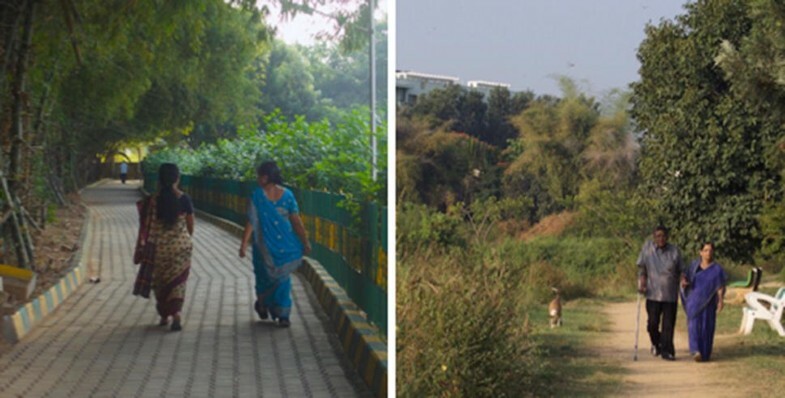 City residents can take on important roles in the stewardship of public parks, trees, and waterbodies in their neighbourhoods, and sense of place is often brought forward as a motivation for engagement. In Bangalore, neighbourhood lake groups have partnered with public authorities to improve the restoration and upkeep of the city’s disappearing and increasingly polluted lakes. In this study, we focus on five lake groups to investigate the influence of sense of place on stewardship, specifically place-making—a term used to describe intentional practices to design, improve, and manage ‘good’ public spaces. In each group, three-to-six members were interviewed and a survey tool was used to assess the place attachments and meanings associated with their specific lakes. Findings show that approaches to place-making were influenced by childhood experiences with nature, and an appreciation for what is becoming increasingly scarce in a fast-growing city; greenery, pleasant temperatures, free-flowing water, clean air, and access to nature. Over time, involvement in lake care has reinforced attachment for certain place meanings, but also broadened the range of meanings people are attached to, including seeing the lakes as places to express national and cultural pride. Findings also show that longer involvement in stewardship tends to give rise to a more complex understanding of the lakes’ social and ecological functions, which in turn motivates the lake groups to advocate for a more socially just and nature-oriented approach to lake management. Based on our findings, we propose that stewardship groups can influence how a broader community interacts with and cares for urban green spaces, foster a more complex understanding of the varied benefits green spaces generate, and carve out alternative and more sustainable pathways for the governance of urban ecology. Handled by: Richard Clark Stedman, Cornell University, US. The online version of this article ( https://doi.org/10.1007/s11625-019-00664-1) contains supplementary material, which is available to authorized users. 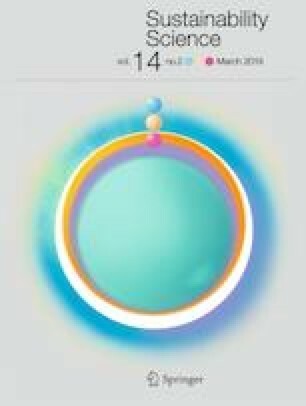 Over the past 6 decades, the planet has gone through a process of rapid urbanization and since 2007 the global population has shifted from being majority rural to majority urban (United Nations 2009). This shift in demographics is causing the world’s cities to swell, which puts severe stress on urban waterbodies (Elmqvist et al. 2013). Such challenges emphasise a need to promote cities as social–ecological systems (SES), i.e., places in which people rely upon functioning ecosystems, and in which ecosystems are influenced by human values, decisions, and behaviours (Chapin et al. 2009). Conceptualizing cities in this way invites investigation into how people think about their environments and how environments influence peoples’ thinking (Jones et al. 2016). In the river-less city of Bangalore in southern India, the thinking around how to address urban water scarcity has been to pump water from a river 100 km away. In combination with rapid urbanization, this has undermined the preservation of local water supply from a pre-existing hydro-social system of man-made lakes and wells (Enqvist et al. 2016). This exemplifies what McLean (2017) describes as “big water culture” where large-scale engineering solutions dominate in supply side planning, to the exclusion of solutions that could arise from “everyday water cultures” and understanding local ecosystem functions. As illustrated by Enqvist et al. (2016), this approach has created trap-like dynamics in Bangalore, where a combination of large-scale technological investments, urban development, and centralised water management and distribution, has locked water supply into a trajectory where local resources are gradually destroyed. Traps like these can prevent system change even when there is widespread recognition of the value of threatened resources (Scheffer and Westley 2007). This situation can stem from subjectively held perceptions about what the identity of a system is (e.g., what function do lakes have in the city), which reinforces rigid management approaches by causing social actors to systematically overlook alternatives (Stedman 2016). In addition, by neglecting to perceive diversity in system function, overly technocratic approaches to resource management can have detrimental effects on the close connections that exist between a place’s natural assets and its historical, cultural, sacred, and communal significance (Friedmann 2010; van den Bosch Konijnendijk 2015). A way to remedy this can be to draw attention to other subjective perceptions of a system such as the place-based concerns, needs and prides held by community-based groups that use local places for mobilizing collective action (Martin 2003; Horlings 2016). Since neighbourhood and community-based organizations are becoming more and more responsible for securing local services in top–down governance schemes (Martin 2003; Svendsen and Campbell 2008; Connolly et al. 2013), this presents an opportunity to explore where and how different understandings of place matter for overcoming the constraints of unsustainable resource management (Moore et al. 2014; Masterson et al. 2017; Long and Lake 2018). To investigate such processes, it is necessary to understand if and how sense of place acts as a catalyst for collective action and environmental stewardship (Manzo and Perkins 2006; Chapin and Knapp 2015). This understanding can be gleaned from using sense of place theories, which allow peoples’ relationship to a place to be unpacked and understood (Relph 1976; Tuan 1977; Stedman 2003). A common conceptualization is to view place meanings as describing what a place is, while also forming the basis for place attachment—together creating what is referred to as sense of place (Stedman 2008; Brehm et al. 2013). This perspective can help to explain why certain people may be willing to invest time and energy in the stewardship of a particular place, if they believe that their efforts will be valuable in conserving, or realizing, the meanings that they are attached to. In this paper, we are particularly interested in the link between sense of place and stewardship behaviours. To explore this link, we highlight place-making as a component of place-based stewardship and use insights from urban planning and community development research, which defines place-making as putting intentional effort into the creation of good public spaces that promote people’s well-being (Silberberg and Lorah 2013; Williams 2014). Although the place-making literature pays little attention to human–nature relationships (Wilkinson 2012), it does critique how top–down urban planning undermines people’s sense of place, when it does not take place meanings into consideration (Fullilove 2004; Brugiatelli 2016; Horlings 2016). More importantly, it highlights strategies bottom–up initiatives can adopt to reshape their local places in community-centred ways. Three strongly emphasized strategies include: (1) “Championing mixed use over design”—understanding who uses a place, how, why, when, and with what consequences and benefits (Carmona 2014; Wyckoff 2014); (2) “Programming”—organising and planning events with the aim of encouraging community members to engage with a place (Silberberg and Lorah 2013); and (3) “Acceptance of controversy” (Flora and Flora 1996) as a natural part of managing public space, which requires negotiating between different views and perspectives as to what makes a place “good”. These strategies emphasise the active creation of place meanings and the subjectivity inherent in transition management, social processes which need to be better understood and acknowledged within SES undergoing change (Manuel-Navarrete 2015; Stedman 2016). 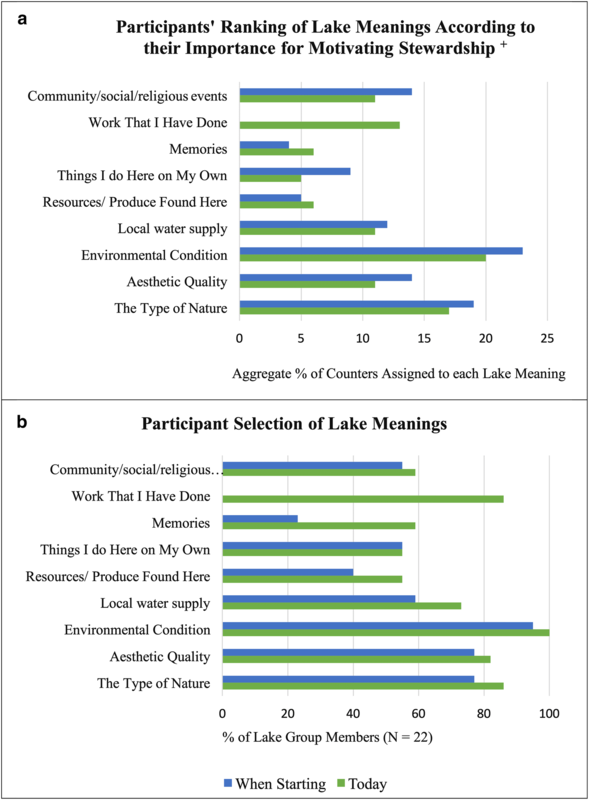 How have lake group members’ perceptions of lake meanings and attachments changed over time? What place meanings do lake group members perceive as important now, compared to when they started? What implications have these changes in sense of place had on the groups’ approach to place-making and lake stewardship? How have lake group initiatives influenced the formal management of lakes by Bangalore’s municipal authorities? Based on these questions, our study explores how creating opportunities for citizen involvement in governance can play a role in transforming the way green spaces are recognised, valued, and managed in rapidly urbanizing cities. In the last 15 years, the city of Bangalore has experienced a doubling in population and is now home to 10.1 million people (World Population Review 2017). This population increase is mirrored in the city’s spatial expansion, which has grown more than tenfold since 1949 (Ramachandra and Kumar 2008). Such rapid growth has led to the creation of sprawl regions lacking in basic amenities and infrastructure, and a citywide decline in green cover and waterbodies of 78% and 79%, respectively, in just 40 years (Ramachandra et al. 2017). The dramatic decrease in blue space reflects the loss of Bangalore’s ‘keres’ or man-made waterbodies, the creation of which began centuries ago as a means of harvesting rainwater in a river-less landscape. Models of skilful engineering these keres were constructed to complement the area’s undulating topography, so that during periods of heavy rainfall water would flow from higher elevation keres to lower ones through canals called rajakaluves (Gowda and Sridhara 2007). Year-round water supply was then ensured by the construction of open-wells around the keres, which filled through groundwater recharge and in-coming rain during monsoons (Nagendra 2016). For centuries, each kere was managed as a commons by adjacent village communities, where maintenance responsibilities were assigned to particular village members in exchange for access rights to natural resources (Nagendra and Ostrom 2014). In this way, kere management was incentivised and specific to local conditions. However, towards the end of the nineteenth century, when the British transferred kere management to government-appointed officers, the specialized community knowledge of kere maintenance was separated from those empowered to manage them (Nagendra 2016). This community disempowerment culminated in 1964 when all keres were declared state property (D’Souza and Nagendra 2011). Five years later, the city government decided to pipe river water into the city from 100 km away; water that would be distributed by a new body, the Bangalore Water Supply and Sewerage Board (BWSSB). This decision reduced incentive and administrative structures to invest in kere upkeep as water resources. Without adequate protection, the keres became increasingly threatened, and over the coming 5 decades, an estimated 800 were built on, encroached, or used as storage pits for debris and sewage (Nagendra and Ostrom 2014). In an attempt to halt this development, in 1985, the State Government deemed restoration to be the only viable option and entrusted the Forest Department, the Bruhat Bengaluru Mahanagara Palike (BBMP; Greater Bangalore Municipal Corporation) and the Bangalore Development Authority (BDA) with the responsibility of their preservation (Gowda and Sridhara 2007; Nagendra 2016)—notably all disassociated with the BWSSB’s water supply mission. These agencies adopted an engineering-based approach to restoration that involved fencing the periphery to prevent ‘encroachment’, diverting sewage inflows, removing silt to maximise water holding capacity, and constructing a raised bund and walking track around the water (Fig. 1). By failing to recognise the keres’ multiple uses, their ecological functions, and their hydrological connectivity, this approach has gradually converted Bangalore’s keres into recreational spaces generally referred to as ‘lakes’ (D’Souza 2014). Once restored, the management of lakes for recreation, water supply, fishing, and other uses was divided between nine different government agencies. This siloing of responsibilities, and lack of communication between departments, meant that the majority of restored lakes remained as susceptible to encroachment and pollution as before restoration (Nagendra and Ostrom 2014). In many cases, a cycle of top–down lake restoration, maintenance vacuum, gradual degradation, and subsequent need for re-restoration developed. 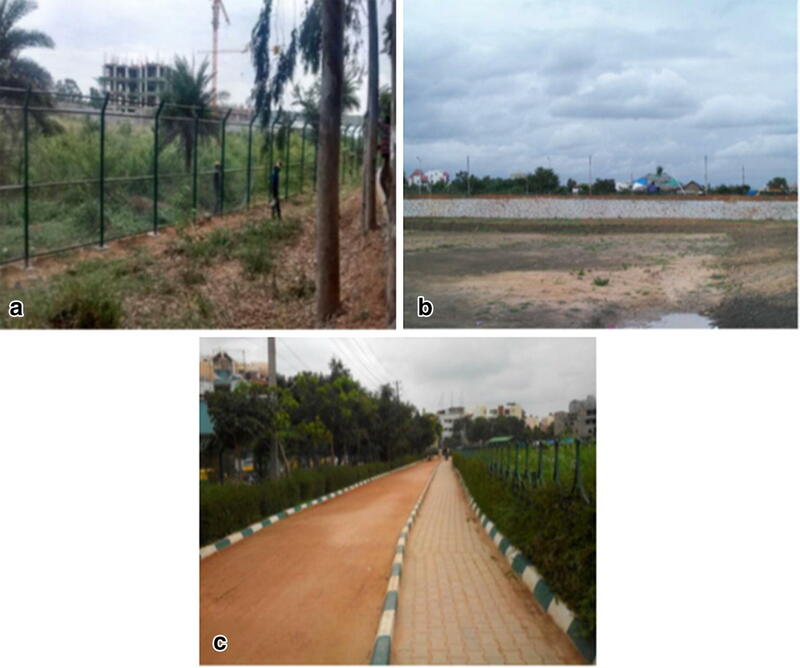 This inefficient expenditure of funds, and emphasis on restoration rather than the maintenance and cultivation of meaningful public places, eventually provoked a reaction from local residents and started to mobilize stewardship behaviour (Nagendra 2010). Recognising the role engaged citizens could play in maintaining their local lakes, the BBMP decided to enter into public-civic collaborations in an effort to sustain their restoration efforts. In 2010, a handful of lakes started being co-managed by resident lake groups, formally recognised through memorandums of understanding (MoUs) with the BBMP (Luna 2014). This integration of local residents into the governance system has since given rise to a social movement of lake stewardship and the emergence of more than a dozen additional lake groups (Enqvist et al. 2016). In combination with an increased sense of citizen agency, the speed of urban sprawl, and growing controversies about the city’s reliance on a stressed external water source (see Safi and Doshi 2016) have turned Bangalore’s lakes into places of concern. Hence, as part of the process of developing their own management approach, groups are reaching out to technical and ecological experts for advise on how to better adapt lake maintenance to local conditions and promote the city’s lakes—not only as recreational parks, but also as places that support biodiversity, the livelihoods of less affluent communities, the preservation of cultural heritage, religious activities, flood mitigation, wastewater bioremediation, and local water supply through groundwater recharge (Nagendra 2016; Enqvist et al. 2016). In this study, we selected five lake groups (Fig. 2), to investigate what meanings and attachments which group members associate with their rescued lakes, and what influence this has on their approach to stewardship and place-making. This study was based on a mixed-method approach, combining semi-structured interviews and participant observation with quantitative surveys (Creswell 2014). The design of the interview and survey protocol was adapted from a previous study investigating the link between sense of place and the protective and restorative stewardship of urban waterways in New York City (Enqvist et al. this issue). Based on a list of twenty-four known lake groups (Enqvist et al. 2016), we selected five groups that were still active, had more than three members, and were progressing from a restoration phase to a maintenance phase at their lakes (Table 1). All interviews were carried out by the lead author from October to December 2016. Contributors to the study included lake group members (n = 22), individuals working with lake issues at a city scale, such as NGO workers, consultants, and local researchers (n = 9), public officers at BBMP’s Lake Division and BWSSB’s New Water Department (n = 3), and lower income residents from remnant lake villages and spontaneous settlements that abutted the selected lakes (n = 7). The principal source of data came from the individual semi-structured interviews conducted with lake group members. This group consisted of middle-to-upper class individuals who predominantly lived in new lake-side apartment blocks. Interviews ranged from 42 min to 1 h 48 min in length. As recommended by Trell and Hoven (2010), these interviews were conducted on location while either sitting or walking at the interviewee’s local lake. This allowed participants to see, hear, smell, and feel the place which they were communicating about. As an additional aid for describing place-based experiences, a print out of the lake from Google maps was presented to each interviewee, which they could refer to if needed. This is known to be an effective way of generating place-based data and prompting respondents to more comfortably articulate local knowledge (Gould et al. 2015). To allow the patterns of attachment to be compared between lake groups and triangulate the information gathered during interviews, lake group members were asked to complete a survey (see Supplementary Material). The first part of the survey consisted of standard place attachment statements and Likert scales (Stedman 2003). The second part of the survey, which focused on lake meanings, asked participants to select and then rank the ecological and social characteristics of the lake that were most relevant for initiating and sustaining their engagement in lake care (adapted from Enqvist et al. this issue). During this exercise, participants were presented with a table of pre-selected place meanings and twenty counters, which they could distribute as they wished. Afterwards, interview questions such as, “What about this category made you rank it the highest?” were used to guide a discussion on how the participant had filled out the table. Participants were asked to complete both survey sections twice: once, thinking back to when they started working with the lake (which ranged from 1 to 10 years ago), and a second time based on their present-day perceptions and feelings. This attempt to give the quantitative data which a temporal dimension was based on the concept of “retrospective pre and post” evaluation, a survey method used to identify self-reported behavioural or attitudinal changes after having gone through a particular experience (Rockwell and Kohn 1989). Rather than being a way to measure quantifiable change in place attachment and meanings over time, this method was used to explore the participants’ self-perceived changes in their sense of place. This experimental approach was built on insights from a previous study, where interviewees often expressed a need to distinguish between their present motivations and their original reasons for engaging in stewardship (Enqvist et al. this issue). This approach also addresses a broader need to develop research methods that can elicit more of the complexity inherent in people–place relationships and better represent sense of place as dynamic and pluralistic (Raymond et al. 2017). Prior to analysis, all interviews conducted with lake group members and lower income lake residents were transcribed verbatim. For expert interviews, transcription was limited to key sections that related to their interactions with community lake groups. Transcriptions were coded both deductively and inductively (Maxwell 2005) using the qualitative analysis software QDA Miner Lite (version 3.0.). Deductive coding (based on the place attachment statements and lake meanings from the survey) allowed for comparison between the quantitative and qualitative data (see Supplementary Material). Place-making and stewardship strategies used to secure, facilitate, or inhibit place meanings were also coded for, as well as strategies that diverged from, or directly challenged, conventional governmental lake restoration approaches. Inductive coding was used to explore the other salient themes within the transcripts that did not fall under the predetermined codes. Survey responses were collated using Microsoft Excel (version 15.12). Analysis of the five cases revealed a common stewardship journey of discovering a threatened lake, learning about its complexity, developing place attachment, and proceeding to exert influence on other people’s interactions with the lake through the use of place-making techniques. This section describes this progression and addresses the research questions by drawing on both the qualitative and quantitative findings. We were a little careful when we started this lake group, because what happens very often is that we come with an urban mind-set, which is very disruptive. I mean people have been living around here for ages… so we didn’t want to pave this place, and have shops and vendors come in here. A picnic spot! You can’t do anything worthwhile, sustainable by alienating the local guys. Initially I came to see what birds where around, just to see the birds. Then I realised there’s a lot more going on at the lake… so the birds, the plants, the soil and how there is this intricate network between all of them and how they work. And the great thing is, the lake has changed so much [and] I have been very overwhelmed with its dynamics. See, as I get more and more involved I try to look at the benefits we derive from this lake. Groundwater is getting recharged, so I have to save the lake! Earlier it was my selfish attitude that I love nature, I want to be here. Now, I take a broader look… how is it useful to the society? In the beginning I never thought of water supply, public utility, and all those things. In addition, the number of lake meanings that respondents assigned tokens to was greater when they completed the place meaning exercise for ‘today’ compared to ‘when starting’ (Fig. 3b), implying that they are now motivated to care for the lakes by a broader set of place meanings than when they first began. This mirrors their current interest in managing the lakes as places that serve a mix of ecological and social functions. It also suggests that, within each group, the collective perception of what makes the lakes important is becoming more cohesive with time. In spite of these changes, participants still rated “environmental condition” and “type of nature found here” as the most important lake meanings for motivating and sustaining their work. When starting out these were characteristics the groups wanted to “improve” or “re-create”. Now, they are qualities which they want to “enhance”, “protect”, and enjoy the benefit of. The importance of these ecologically informed meanings is also evident in how they express a new sense of attachment to the lakes, a factor that is becoming a deeper driver behind their current stewardship and place-making behaviours. See I come from an area where vegetation is high. When I see Bangalore its more of concrete, which I don’t like much. So, what I see here [at the lake] makes a lot of sense. This is what I desire! This is what I am making! I’m basically from an agricultural background. In my home, in Mangalore, we produce all sorts of coffee, betel, areca, coconut and cardamom. I have planted betel leaf [at the lake]. And pepper vines. Without much of an effort you are bringing beauty and utility. One of the things I started long back was “Family Time at the Lake”. Because so many of us live in high-rises we may not even have a balcony garden. The disassociation for kids with the environment is huge … I want them to get their hands dirty planting something. I want to educate youngsters about the different trees we have here. There’s small boards I am making to put on the plants, so that children can recognise which plant this is, why it is [there]. For example, Kadamba is this tree here where Saraswati [the goddess of knowledge] lives. We have to associate these things with culture. Last year we had a citizen involved Mahotsav, where we had a lot of participants. Whole month we did it. Whole of July! Every Saturday, Sunday we had a drive. A lot of citizens, corporates, schools participated. See nature is God’s gift. It is our responsibility to preserve it. We shouldn’t complain that somebody else is not doing. What JFK once asked in the senate in America, “Don’t ask what America has given to you, [ask] what you have given to America!” Same thing! We have seen Bangalore getting spoiled. [In] at least [the last] 10, 12 years. Once, Bangalore was considered an air-conditioned city [because of its greenery]. I mean I miss that. It never crossed 32 [degrees Celsius]. Now it’s like 38 or close to it. I’m a retired gentleman, [without this lake] how will I pass my time? Just sitting, watching TV, or walking around on the busy ring road with the traffic and the dust? I can’t do that! So here after four o’clock I just put on my jogging shoes, come straight here and walk four, five rounds, and check how things are, the new plants, etc. … since walking is a routine I’m so active! See at age 70 I have no high blood pressure, no diabetes. It is because of this lake. See snakes are carved on these stones! The villagers here… believe that performing puja [ritual offering] for the snake god clears skin disease. So they come and perform puja. When this bund was being constructed, unknowingly, Bangalore Development Authority people removed them. I said this will not do [and] I have made to reinstall it and asked my team to clean up this area. Now every villager in and around this place, thanks me for creating a clean atmosphere for their puja. There are cows and buffalos in this ‘village’. Right! Now cows and buffalos are not supposed to be in cities. Fine, agreed. But they exist! And right now those cows graze here… So we insisted there should be a bathing place, for the cows and the buffalos. This dirt path, of course when it rains its un-run-able! It will just stick to your shoe. But… we don’t want to pave it [because that] spoils everything for a whole bunch of animals, and even the villagers who come and cut grass and take it for fodder. They don’t want paving stones. So we’ll keep it this way. It’s ok if you can’t run for 3, 4 months. If you see the well-known lakes around Bangalore they are commercializing them. You will see a lot of vendors selling balloons and ice-creams, and a lot of steel, cement, chairs, benches. If you modernize this lake, then the whole thing is gone… you could as well walk around our building. It’s concretized, it’s got the paving blocks. It’s nice to walk but it’s better to walk here. On the mud! On the soil! All the abuse your lungs get during the day elsewhere can be sufficed when you come here for one hour. There are about 2500 plants as well as different medicinal and herbal species. These give an aroma. Initially BBMP had given these 112, very common saplings. They were like “This is Cassia, that side is Thespecia”. After that, we got our own trees! We got this list prepared by one professor, a birdwatcher, and environmentalist. We went largely by the suggestions he made when we got these trees, which are all fruiting and flowering species. We want to see this place full of birds, and butterflies, and dragonflies, and insects. This style of planting and ensuring water supply for the lakes (through clearing storm-water drains, rainwater harvesting, or feeding the lakes with secondary treated water from nearby sewage treatment plants), has, according to the groups, contributed to an increase in the number of local land and water birds. The groups at Jakkur (157 acres) and Puttenahalli (13 acres) have been monitoring this increase on e-bird (an online database of bird observations) and now report attracting 187 and 44 species, respectively. We want to be careful about how much sound we create at the lake. It should be something that goes with the environment here, so we don’t use any sort of amplification. When we presented the plans to the BDA we asked them… to include the ecological aspects of the lake. But unfortunately they did exactly what they wanted. The wire mesh fence they put around the lake edge… they put double height because they made double money out of it. Also… the inlet and outlet levels have not been done accurately. This is now a very big problem as it could create flooding issues… If it was completely naturally left I would want to go back there every day. I don’t want to do that now! Such experiences have dampened this group’s motivation to continue monitoring the lake’s restoration and they are now coming to terms with the fact that poor re-construction work will need redoing. Amongst the other groups, survey results show an overall increase in attachment (Fig. 5). Interestingly, the pattern in survey responses was most similar for the groups working at lakes that now look alike and have undergone a similar transformation, i.e., PNLIT at Puttenahalli and CLDT at Chinnappanahalli, showed the highest increase in attachment. These lakes were both described as “dump yards” when the groups started but are now fully planted with trees that are just 6 years old. For the groups at Jakkur and Akshaynagara, which are working in less urbanized contexts, even though both lakes were suffering from sewage pollution and illegal dumping when the groups emerged, they were still green places that had grown semi-wild. For these groups, who have experienced less extreme change at the lakes, the shift in survey responses is less pronounced. This paper investigates how lake group members’ sense of place has changed over time, what implications that these changes have had on their approach to place-making and lake stewardship, and what effect lake group initiatives have had on the conventional lake restoration and management amongst the municipal authorities. Overall, the results show that, by working to change the norms surrounding lake restoration, lake groups are helping to (1) enhance the ecological condition and function of restored lakes, (2) improve lake access for domestic users and lower income communities, (3) promote lake awareness and care in a wider community, and (4) create places that lake group members want to work in and protect. The survey responses revealed that the dominant place meanings that influence the groups’ stewardship efforts are the lakes environmental condition and the nature found there (trees and birds in particular). By comparing the survey results with the qualitative data, a deeper insight was gained as to what ‘nature’ and ‘environmental condition’ meant to group members in the context of their local lakes. This helped understand their approach to place-making, and revealed that they prefer certain types of aesthetics, biodiversity, and uses, because they want the lakes to feel more ‘wild’ than ‘manicured’ and provide diverse ‘ecosystem services’ beyond the recreational. The majority of lake group members identify as ‘nature people’. The process of restoring and protecting the type of nature found at the lakes, therefore, affirms this aspect of their identity and helps which make the previously degraded lakes feel more congruent with their sense of self. As the lakes continue to change, the improved ecological condition also gives rise to new place meanings, such as “lung space”, and “bird sanctuary” that group members now value. Similar to Krasny et al. (2014) who studied the motivations of volunteer oyster gardeners in New York City, this emphasizes how peoples’ sense of place is shaped not only by aesthetics, landscape features, and social interactions, but also by ecosystem health and function. Ecosystem health can even have a direct effect on the emotional well-being people experience when interacting with the natural resources where they live (Sultana 2011). Our findings indicate that contributing to improved ecosystem health is an empowering experience that gives a sense of accomplishment and helps sustain stewardship long term. This is reflected in the memories which lake group members associate with their work, such as watching saplings grow into trees, lakes refill with water, and local bore wells get recharged. The degree of compatibility between local actors’ preferred place meanings, and their perception of social–ecological change can be utilized as a way of assessing the future stability of places in transition and assessing variability in the perceptions of change amongst different stakeholders (Stedman 2016). The memories listed above are, therefore, interesting to analyse as phenomena that are (1) highlighted by lake group members as indications of transformation, and (2) exemplify changes that correspond with favoured lake meanings. The experiential aspect of memorable interactions with urban nature is also important for developing ecological place meaning and visions of what a city’s environment and ecology can provide (Russ et al. 2015). In this study, the initial identification with the lakes as natural places was influenced by the interviewees’ places of origin and upbringing, which, in many cases, were described as “rural” or “green”. This supports the previous arguments that place-based stewardship behaviours are shaped by practitioners’ life-paths (Chawla 1998). For many of the interviewees, emotional attachments to their place of origin have now become associated with their revived local lakes, and the more “wild”, “natural”, “un-manicured” aesthetic which they are promoting is being imported from specific childhood places. Similar to Manzo (2005), this illustrates how some adults, to create meaningful residences where they currently live, end up reproducing places that were special to them as children. The study also joins Stern’s and Chawla’s work in providing empirical data that shows how establishing a connectedness to nature in the early childhood encourages a propensity to engage in environmental stewardship later on in life (Stern 2000; Chawla 2006). This further emphasizes the importance of ensuring opportunities for urban children to engage in nature-based activities where they grow up (Giusti et al. 2014; Giusti et al. 2018). For other lake group members, their relationship to nature was described as a component of their national identity, and sense of pride in one’s country was expressed through the re-greening of lakes with plants and trees that have mythological and cultural significance throughout India. This finding captures how stewardship behaviour can be motivated by a wish to preserve ‘the symbolic dimensions of environmental knowledge’ that are culturally inherited (Winthrop 2014; McMillen et al. 2017). With these developments in lake meanings and attachments, the stewardship of Bangalore’s lakes is shifting from being a recurring clean-up exercise, to a new set of behaviours that are influenced by the improving health of the lakes, and their increased community use. This shift is allowing a more “culturally reflexive” form of stewardship to be expressed, which is influenced by values, beliefs, and ideas regarding human-nature relationships and the environment (Winthrop 2014). In this case, using sense of place theories helped reveal how these values and beliefs are underpinned by a combination of nationality, culture, religion, and upbringing, and how engaging in lake stewardship is helping to sustain and mould these values over time. As argued by Morales and Harris (2014), paying attention to these more subjective dynamics of participatory natural resource management makes it clear that for participatory governance interventions to be equitable and sustainable which they must not only attend to structural and institutional dynamics, but also people’s personal experience of participation. Amongst lake group members, participation in lake maintenance, as well as being seen as a meaningful endeavour, is also seen as a process of continuous learning and not a “project” that will end. This makes their approach to place-making more adaptive than that of their formal co-managers. Similarly, Andersson et al. (2007) found that informal management practitioners who expressed a strong sense of place for urban green spaces in Stockholm were more likely to engage in experimental or adaptive management compared to formal managers, whose sense of place was weaker and who primarily followed the managerial protocols. In Bangalore, the municipal officials cannot regularly engage in lake upkeep due to lack of manpower and resources. Lake groups with their on-the-ground presence have, therefore, become sources of knowledge and ideas for the lakes’ formal managers. Given that lack of adaptive capacity amongst the actors managing natural resources is often a contributing factor in the persistence of social–ecological traps (Carpenter and Brock 2008), this burgeoning communication and exchange of ideas between lake groups and local authorities is a positive step towards dismantling command-and-control lake management. Recognising the ecological significance of traditional land uses, which are often inhibited in the name of environmental restoration, is another important form of knowledge generation for escaping social–ecological traps (Long and Lake 2018). In Bangalore, seeing the benefits of a healthy and biodiverse lake—not only for its environmental value but for its ability to provide multiple types of benefits to humans—is helping to facilitate this process and generate a more social–ecological understanding of the lakes amongst group members. For example, learning that fodder collection by local subsistence farmers aids nutrient cycling in the lakes’ wetlands and that local fishermen help to promote water birds by removing invasive lake weed when they fish. This learning helps to build appreciation amongst lake group members for skill sets traditionally associated with ‘lower class’ professions, skills that are being lost along with the widespread destruction of lakes. The studied lakes, therefore, exemplify how effective stewardship requires skills and expertise to be transmitted across social groups. Importantly, they also demonstrate that a desire to care for a place can help to facilitate the coming together of different knowledge if the mixed use of that place is seen as an opportunity for collaboration rather than conflict—described in the place-making literature as “championing mixed use” (Carmona 2014) and “acceptance of controversy” (Flora and Flora 1996; Manzo and Perkins 2006). Collectively, these findings exemplify how stewardship has emerged as an interplay between a growing sense of lake care, increased local knowledge, and the eventual acquisition of agency to influence lake management. This draws on previous characterizations of stewardship (Andersson et al. 2017; Enqvist et al. 2017), which highlight care, agency, and knowledge building as important factors for generating engagement in the management of urban landscapes. In Bangalore, the groups’ learning processes are being guided by the place meanings that they care about; for example, the information which they gather from local experts is guided by a wish to re-establish the lakes as historically important bird habitats. As a result, the diversity of native fruiting trees that now prevail at the selected lakes distinguishes them from the city’s parks, which, according to Nagendra and Gopal (2011), contain 77% non-native tree species—a legacy from colonial-era preferences for flowering trees and an important example of how strongly cultural preferences can shape urban ecology. This emerging contrast between Bangalore’s parks and lakes also demonstrates how exploring the place meanings that drive local stewardship gives a more in-depth understanding of what type of ecological knowledge is being generated in a place and what ecological outcomes can be expected. As illustrated by Tidball (2011) and Krasny et al. (2014), it also shows how the collective memory of a landscape’s ecological history, whether it has been directly experienced or not, can be used to inspire and motivate a shared vision for the restoration of a place. The growing recognition of the Bangalore lake groups and their work, the willingness of the authorities to engage in co-management partnerships, and a rediscovery of the lakes as interlinked social–ecological systems, means that local stewardship initiatives are carving out different pathways for lake governance. Findings also show that the longer the groups work with the lakes, the more complex and diverse their understanding becomes. Therefore, allowing space for long-term community engagement in local stewardship can help champion mixed use and an integrated social–ecological perspective when urban ecosystems are being restored and maintained. As suggested by Enqvist et al. (2016), this could contribute to dismantling the trap dynamics of institutional lake governance and stimulate alternative approaches to urban water management. Experimenting and learning are key components in this process of rediscovery and the groups’ efforts to create spaces for innovative lake restoration. Sense of place literature offers further understanding of how to break trap dynamics by drawing attention to the subjective nature of practitioners’ system understanding (Stedman 2016). Lake groups complement authorities’ technocratic view of lakes with a more personal sense of care for, and attachment to, both the physical lake sites and a vision of what they can become. Hence, an important aspect of their work involves sharing their sense of place and encouraging a broader public to engage with the lakes as public commons. Cultivating this relational aspect of stewardship (West et al. 2018) requires an understanding of, and ability to engage with, the needs, values, and desires of local residents, a task that community or grassroot groups can more readily take on than local authorities. In this work, lake group members draw on the previous experiences of sense of place, as well as their understanding of, and identity in relation to, culture, nation, and nature, in general. Here, sense of place theories are useful for helping researchers to better understand stewardship practitioners’ motivations, and their approaches to place-making and environmental restoration (Andersson et al. 2017; Masterson et al. 2017). These findings are, therefore, instructive for supporting community-based stewardship in other cities, and identifying the benefits which it can deliver. Thank you to all the interviewees in Bangalore for their time and openness. Many thanks also to the editors and anonymous reviewers for greatly improving this manuscript with their comments and feedback.